This is part of a little project I’ve been working on, and which I’m hoping to write an article about soon. What you see here is a pot which was originally in fragments, and that I’ve reassembled virtually, in order to avoid having to glue it together. 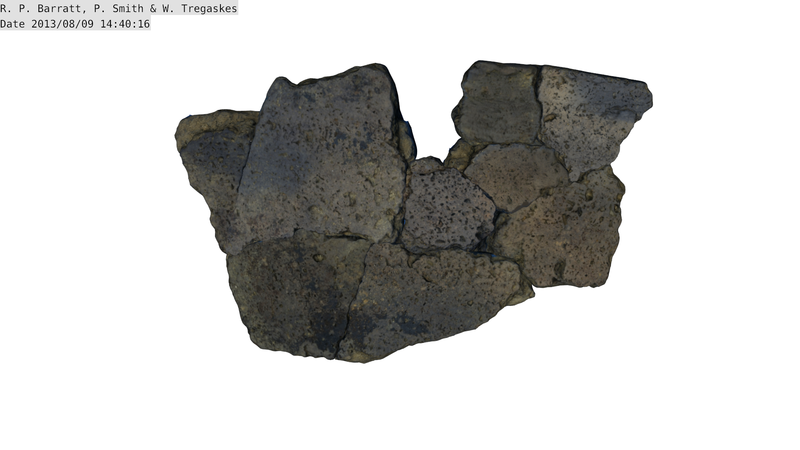 I used 123D Catch to digitise the pieces of pot, and Blender to reassemble them and correct some of the textures. The most fragments I’ve been able to put together at the moment is 9, but there is certainly the potential for making much larger and more complex pots come back to life. 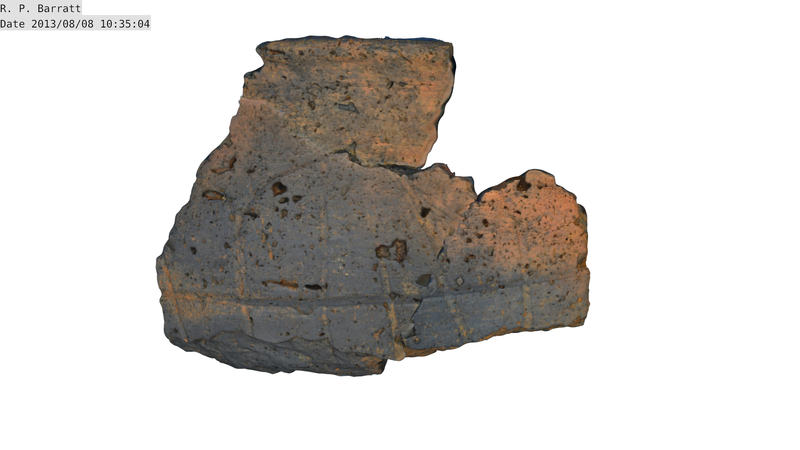 The aim of this method is to preserve the pottery as much as possible as well as provide an online copy of the object that is visible to the general public, thus making archaeology even more accessible to all. Potential Method to Emphasise Inscriptions with 123D Catch?